The origins of the Spanish word dengue are not certain, but it is possibly derived from dinga in the Swahili phrase Ka-dinga pepo, which describes the disease as being caused by an evil spirit. Slaves in the West Indies having contracted dengue were said to have the posture and gait of a dandy, and the disease was known as “dandy fever”. The term “break-bone fever” was applied by physician and United States Founding Father Benjamin Rush, in a 1789 report of the 1780 epidemic in Philadelphia. In the report title he uses the more formal term “bilious remitting fever”. The term dengue fever came into general use only after 1828. Other historical terms include “breakheart fever” and “la dengue”. Terms for severe disease include “infectious thrombocytopenic purpura” and “Philippine”, “Thai”, or “Singapore hemorrhagic fever”. Why certain individuals progress to severe dengue disease is unknown. In this study, blood groups associated with dengue disease were investigated. ABO phenotypes were identified by use of serum from 399 patients with dengue-virus infection who participated in a cohort study. ABO blood-group frequencies were similar in primary versus secondary dengue-virus infections. However, in secondary infection, individuals with blood group AB were likely to have dengue hemorrhagic fever grade 3 than either grades 1 and 2 combined (corrected P value, <.0001; odds ratio, 0.097 [95% confidence interval, 0.03–0.33]) or dengue fever (corrected P value, <.0001; odds ratio, 0.119 [95% confidence interval, 0.04–0.37]). To our knowledge, this is the first report demonstrating an association between ABO blood group and the severity of dengue disease. Infection with dengue virus is a serious emerging health threat and has commanded considerable medical and public-health concern worldwide . Today, dengue disease is considered to be, in terms of morbidity and mortality, the most important arthropod-borne human viral disease . 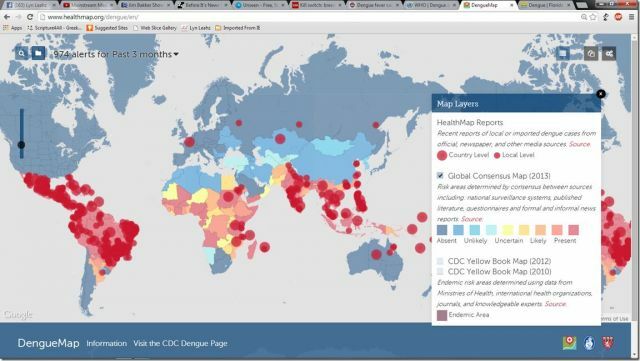 Globally, it has been estimated that 50–100 million new dengue-virus infections occur annually. Among these, there are 200,000–500,000 cases of potentially life-threatening dengue hemorrhagic fever (DHF)/dengue-shock syndrome (DSS), characterized by thrombocytopenia and increased vascular permeability . The death rate associated with the more severe form of DHF/DSS (DHF grades 3 [DHF3] or 4 [DHF4]) is ∼5%, mainly in children <15 years of age . The dengue viruses are mosquito-borne viruses of the Flaviviridae family. Four genetically related but distinct serotypes, designated “DENV-1,” “-2,” “-3,” and “-4,” circulate worldwide . Infection with any serotype can be either asymptomatic or lead to 1 of the 4 clinical scenarios of increasing severity: undifferentiated fever, dengue fever (DF), DHF, and DSS . Infection with one serotype leads to lifelong immunity to that serotype but to only partial and temporary immunity to the others; circulation of >1 serotype increases the risk of secondary infections and of DHF and DSS . DF results from the bite of a mosquito carrying infectious dengue virus and is an acute self-limited disease comprising 5–7 days of fever, headache, myalgia, bone/joint pain, and rash, often accompanied by leukopenia. Occasionally variable degrees of thrombocytopenia and cutaneous hemorrhage are observed. Infrequently, DF may be accompanied by unusual bleeding complications that may cause death . The clinical features of DHF are similar to those of DF during the early febrile phase, but, at defervescence, patients develop the pathophysiologic hallmarks of plasma leakage, because of increased vascular permeability and abnormal hemostasis ; studies of samples collected during and after the acute disease suggest that immune and inflammatory molecules play a role in increasing the permeability of blood vessels . The risk factors for DHF are complex and poorly understood. Secondary infections, which occur commonly in areas where dengue disease is endemic, have proven to be one of the main risk factors for severe dengue disease [2, 4]; and this has led to the antibodydependent enhancement theory . In addition, other probable risk factors for DHF are the infecting virus’s strain/serotype, the age of the patient, and the genetic background of the patient ; however, none of these factors alone accounts for the risk of DHF in patients with dengue-virus infections. The important role that host genetics plays in determining the susceptibility to infectious pathogens in humans has long been known. Although predisposition to DHF or DSS determined by human leukocyte antigen (HLA) haplotype has been proposed by several researchers, no clear, specific polymorphisms have been unequivocally described for severe forms of dengue disease . The ABO blood-group system is part of the innate immune system , and it has been shown that individuals with different ABO blood groups differ in their susceptibility or resistance to viral and bacterial infections and diseases [6, 7]. A relationship between blood groups and disease was first hypothesized by Kaipainen et al. during 1960 , and the gene involved in ABO blood groups was discovered in 1990 . Material and methods. Serum samples were collected from children with acute febrile illnesses who were enrolled in a prospective study that has been described elsewhere . The severity of DHF grading and diagnostic criteria followed World Health Organization guidelines. Acute dengue-virus infections were confirmed both virologically (by virus isolation and/or reverse-transcriptase polymerase chain reaction) and serologically (by ELISA for IgM/IgG) . Standard hemagglutination assays were used to type the blood groups . The protocol was approved by the Human Subjects Research Review Board, the Thai Ministry of Public Health, and the Institutional Review Board of the University of Massachusetts Medical School. Written, informed consent was obtained from the parent or guardian of each child. All patients with confirmed dengue-virus infections were included in these analyses. We compared ABO blood-group frequencies in primary versus secondary infections, as well as in the analysis of associations with disease severity (DF vs. DHF), according to World Health Organization criteria. Theχ2 test for ABO blood groups (2×2 contingency tables) was used. P < .05 was considered to be significant. We used Bonferroni’s method to correct for multiple comparisons; this included correcting for blood groups (n = 4), primary versus secondary infections (n = 2), and number of groups of patients (DF, DHF1, DHF2, DHF3, all grades of DHF combined, and DF+DHF combined [n = 6]). Corrected P values (Pc) <.05 were considered to be highly significant. The odds ratio (OR) and 95% confidence interval (CI) were used to assess the predisposition risk of disease severity associated with a specific ABO blood group. Results. The frequencies of each blood group in the sample population are presented in table 1 and were consistent with those in the general Thai population . The distribution of each blood group among patients with DF was similar to that among patients with DHF. Secondary infections are known to be associated with a higher risk of development of severe disease, so each patient was assayed by IgM/IgG ELISA to determine whether he or she was presenting with a primary or secondary infection.Table 2 shows the results of these assays, stratified by ABO blood group. In primary dengue-virus infections, all 4 blood groups had similar susceptibility to severe disease—that is, to DHF3—and no correlation between blood group and disease severity was seen. In contrast, among patients with secondary dengue-virus infection, blood group AB’s association with DHF3 was similar to both its association with DF (Pc < .0001; OR, 0.119 [95% CI, 0.04–0.37]) and its association with DHF1 and DHF2 combined (Pc < .0001; OR, 0.097 [95% CI, 0.03–0.33]). Also notable in secondary dengue-virus infection was that blood group O was associated less with DHF3 than with DF (P = .0304); however, this difference was not statistically significant after correction for multiple comparisons (Pc = 1.5). Discussion. The results of the present study suggest that, when associated with a secondary infection, blood group AB may be a risk factor predisposing for severe dengue disease. The innate immune system—consisting of NK cells, dendritic and mast cells, macrophages, natural antibody—producing B cells, the complement system, and the host genetic factors—clearly plays a role in elimination of viral infections . Among these innate factors, a predisposition for an individual to be susceptible or resistant to phenotypes of infectious diseases and their clinical manifestations resides in host genetic factors . Two genetic factors—HLA and ABO blood groups—have, to some extent, been demonstrated to play an important role in resistance or susceptibility to infectious diseases . DHF/DSS has been documented in infants during their first dengue-virus infection . Presumably the enhancement of dengue disease in infants is due to preexistent dengue antibody that is passively acquired, via cord blood, from mothers immune to dengue-virus infection . One limitation of the present study is that no infants were included. Whether ABO blood groups will play a similar role in infants remains to be delineated. In the present cohort study, the incidence of DHF in children with primary dengue-virus infection was low (table 2). Factors contributing to DHF in these children are unknown; perhaps individual genetic background may play a critical role in these children [2, 6]. In ABO blood-group antigens, individuals who lack an antigen have natural antibodies with the ability to agglutinate cells carrying that antigen . The antigens are carbohydrate in nature; the immundominant sugar in the case of the A determinant is N-acetyl-D-galactosamine, and that in the case of the B determinant is D-galactose. Galactosyltransferases are involved in the synthesis of these carbohydrates . The antibody that recognizes these carbohydrates is primarily natural IgM. Interestingly, several dengue viral proteins have been shown to be glycosylated , and antibodies, particularly IgM, produced in patients with dengue-virus infection have been shown to cross-react with host cells . Two earlier studies found no association between blood group and disease severity in patients with dengue-virus infection [13, 14]; however, either the collected data were incomplete  or not all patients in the study had laboratory-confirmed dengue-virus infection and a comparison group with DF was not included . Therefore, whether the combination of ABO blood group and the level of natural IgM antibody circulating in individuals has an effect on dengue disease remains to be seen. Additionally, a correlation between HLA and dengue disease has been reported; but no specific polymorphisms have been found to be unequivocally associated with disease severity . It therefore is of interest to see whether there is any correlation between a polymorphism in the galactosyltransferase gene and dengue-disease severity. A previous study of HLA and dengue-virus infection found that the infecting viral serotype influenced the strength of the association between specific HLA alleles and dengue-disease severity . The potential influence of dengue viral serotype in association with disease severity and ABO group was analyzed. All 4 serotypes were circulating during the periods of the study, and the results suggest that, for blood groups O, A, and B, no serotype was associated with disease severity. Interestingly, in the present study we found that, for blood group AB, moresevere dengue disease seemed to be associated more with dengue serotypes 2, 3, and 4 than with dengue serotype 1 (data not shown). Blood group AB’s association with DHF versus its association with DF was not significantly different from that in the other blood groups. Because of the limitations of the sample size in the present study, further studies will be necessary to determine whether dengue serotype, HLA, and ABO are independent variables—and whether some blood subgroups are associated with a particularly high risk of dengue-virus infection. We thank Dr. Henry A. F. Stephens (Institute of Urology and Nephrology, University College London), for his excellent technical support in the statistical analysis and for helpful discussions, and Drs. SuchitraNimmannitya (Queen Sirikit National Institute of Child Health, Bangkok) and Alan Rothman (University of Massachusetts Medical School, Boston), for their knowledgeable comments and suggestions regarding the manuscript. ‘Deadly Disease’ Erupts In Florida, and the Cause Is Now Here In the USA–World Health Organization Extremely Concerned! This illness, according to Florida Health, is an important mosquito-borne disease worldwide caused by four related dengue viruses (DEN-1, DEN-2, DEN-3, DEN-4) that are related to the viruses that cause West Nile infection and yellow fever. Interestingly enough, CNN and other sources report this disease as ‘one of the deadliest and fastest growing diseases globally’. However, Florida Health states that it is ‘rarely’ fatal. Are they just trying to keep people from panicking, or are they speaking truth? I took care of a patient years ago who was in his early twenties. He contracted West Nile Virus here in the USA. As a result, he was left handicapped and then later, died. According to the Florida Health Department (see video above for their quotes) this mosquito is ‘all over’ Florida and they are so concerned, they are doing everything they can to prevent an epidemic. As I was reading the articles pertaining to these mosquitos and the painful disease they carry, I was reminded of the locusts whose sting during the tribulation make people so sick, and inflict so much pain that those afflicted beg to die but are unable to do so. Could this disease be one of the coming end time plagues spoken of in the Bible? Will it get out of control? Only time will tell. The Aedes Aegypti mosquito is just two to three millimeters long but its impact is devastating. 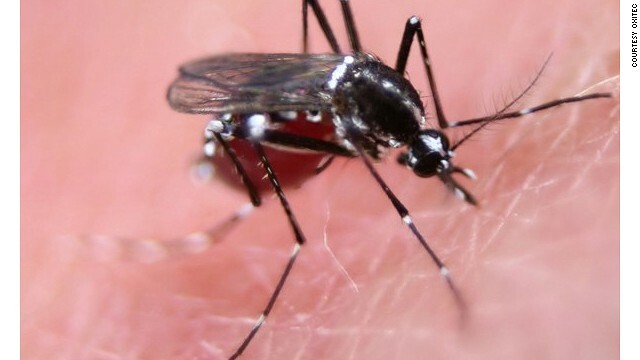 The mosquito borne diseases, dengue fever and chikungunya, continue their climb in theWestern hemisphere according to the latest data released by the Pan American Health Organization (PAHO) this week. 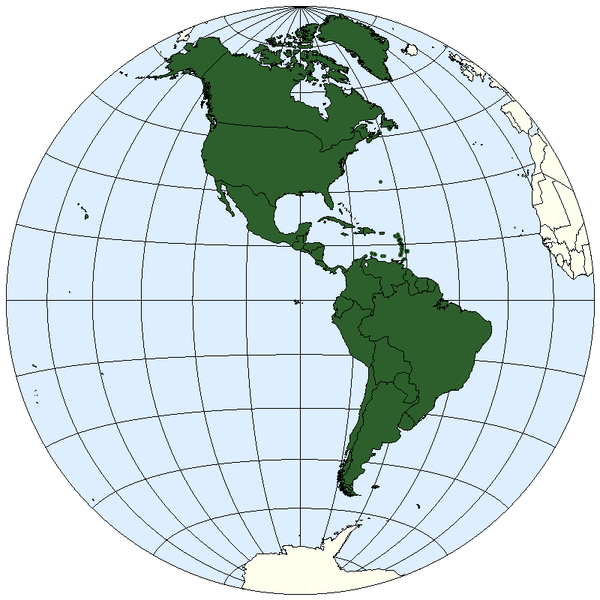 Dengue fever in the Americas has reached 773,421 cases spanning from the United States down to Argentina. Of the total tally, Brazil has reported the most cases by far with 517,695 cases, accounting for 67 percent of the total cases. The number of autochthonous chikungunya cases rose by nearly 50,000 cases in the Caribbean and Latin America during the past week with the total such cases now topping 350,000. Of the 355,617 locally acquired cases reported, Hispaniola accounts for 245, 257 cases (Dominican Republic with 193,413 and Haiti with 51,844), accounting for 69 percent of cases. The state of Arizona has reported its first West Nile virus-related death of 2014. The man was in his early 60s and suffered from underlying medical issues. The case marks the second death linked to the virus in the United States this year. The first fatality wasrecorded in Missouri in June, when a 75-year-old man passed away after contracting the virus about a month prior. According to the Arizona Republic, the most recent death was confirmed by the Maricopa County Department of Public Health, which added that only three cases of the West Nile virus have been confirmed this year. There were 52 confirmed cases in 2013. The potentially lethal virus has become an annual concern for some states ever since it was first detected in North America back in 1999. The disease is carried and transmitted by infected mosquitoes, and can be particularly dangerous for elderly individuals. Only 20 percent of victims will actually experience symptoms, which typically involve fevers, headaches, and body weakness. However, in some cases, it can cause severe fevers and brain inflammation that can lead to paralysis or death. According to the most recent data from the Centers for Disease Control and Prevention (last updated on July 22), 15 states have reported human West Nile virus infections this year, with California’s nine incidents topping the list. South Dakota was next, with eight cases. Other states have recorded non-human cases of the virus, with the above chart from the CDC showing activity across the country. In Arizona, more than 1,000 cases have been reported since 2003. As noted by the Arizona Republic, Maricopa County has launched a ‘Fight the Bite’ campaign in an effort to raise awareness about the virus and ensure that local residents know the best ways to avoid being bitten by a mosquito. These include avoiding outdoor activity after dusk and before dawn, using insect repellant, and, when possible, removing potential mosquito breeding grounds like standing water, which can be found in potted plants and bird baths.